A blog dedicated (mostly) to otome games. Do excuse me for this review – since there are 4 different games I decided to only post screenshots from the 1st game as opposed to taking screenshots from all of them. Sakuya Morita (name is changeable) was given a chance to try the latest virtual game attraction, East Tower. Within the game, players can transform into whatever they want to. 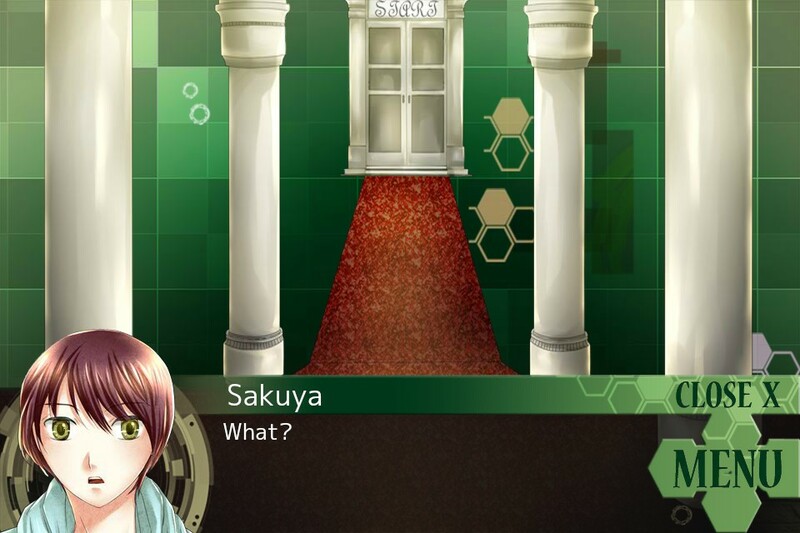 Sakuya chose to transform into a man. She was excited at first, but then a sudden accident happened and she was trapped with four other men. Later, they decided to partner up and proceed to beat the game in pairs, hoping that it would be the way out. 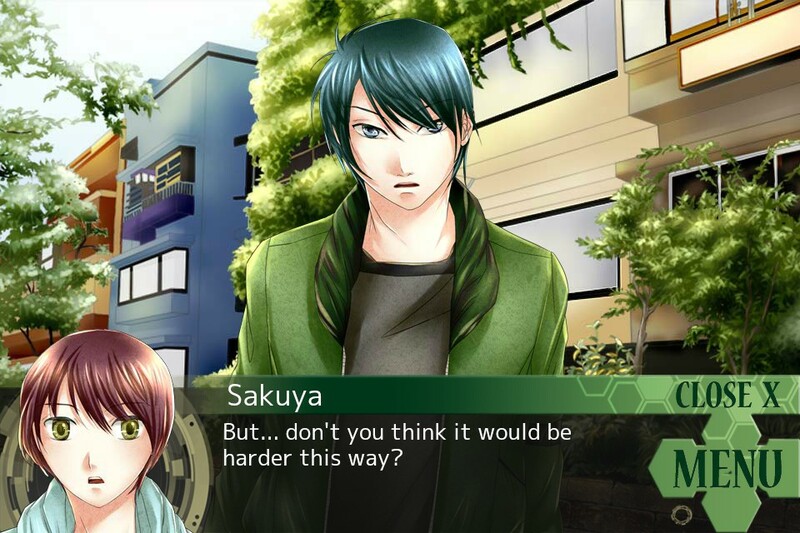 Sakuya: Your main character, a tomboy girl with a complex who wishes she was a man instead. 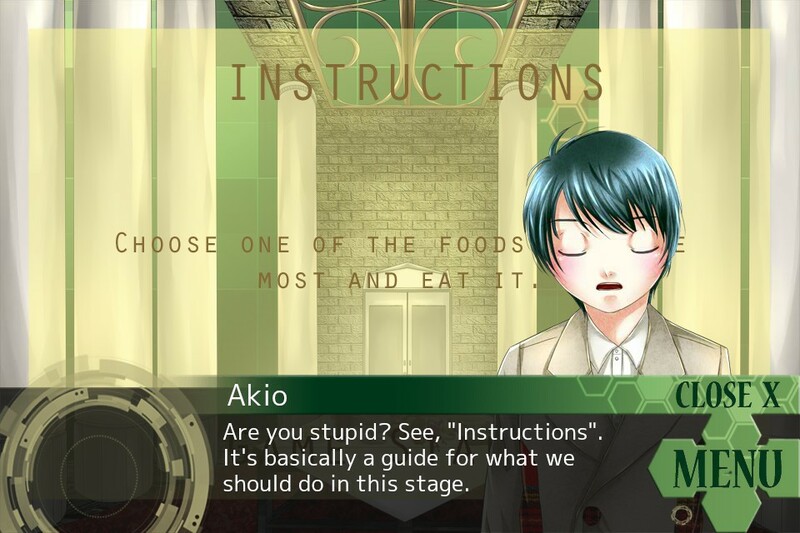 Akio: Calm, serious and straightforward, he appears inside the virtual reality as a young boy. Takashi: A cheerful guy whose past tied in with Sakuya’s reason for wanting to become a man. Appears inside the virtual reality as a woman. Kuon: A quiet, mature-looking man who’s very reluctant to pair up with Sakuya. Kurenai: A flippant red-haired man who appeared in all the other routes as a suspicious character. The official descriptions also mentioned this – the game needs to be played in order: Akio -> Takashi -> Kuon -> Kurenai. I’d argue that you can also do this: Akio/Takashi -> Kuon -> Kurenai. What doesn’t change is the fact that you need to play Kurenai last – the story is structured in such a way that Kurenai’s route is the end to everything – it’s where all of the questions got answered and all the loose ends neatly wrapped up. 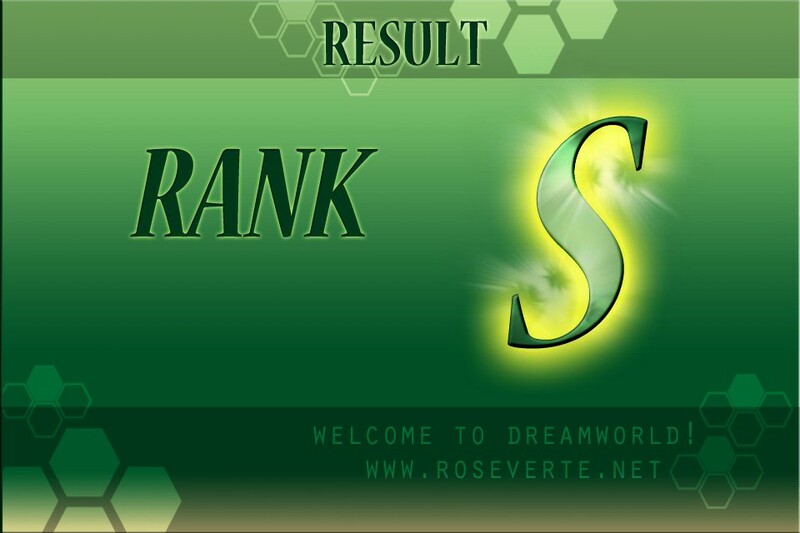 My problem was this – after finishing Akio, I was feeling rather disappointed. 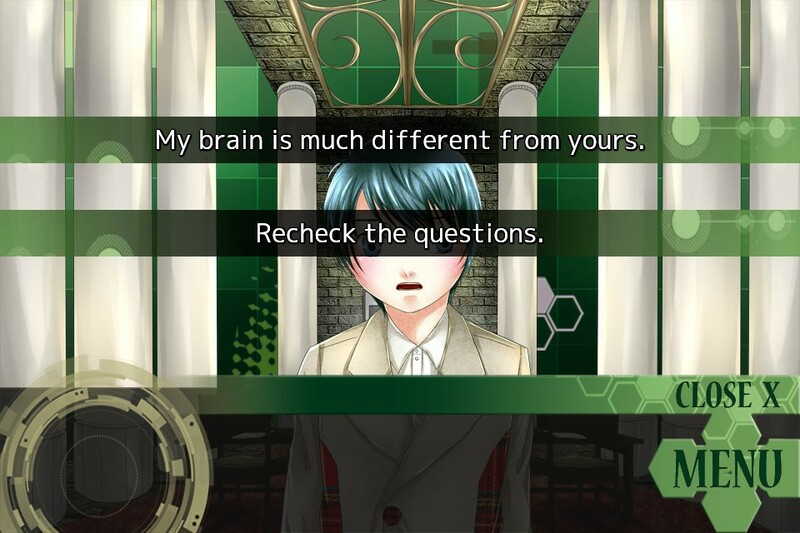 It’s like… “huh, is that all?” …and I started the next game thinking that if all 4 games in the series were similar to Akio it’s a bit of a let down. Thankfully the game only got better from there. …so yes, just… persevere past Akio and Takashi. I have to admit that the art style took a while getting used to – but I learnt to more or less ignore the art and focused on the story. I quite liked the background, inside the virtual reality there are things moving in the background, which supports the feeling that the characters are in a virtual reality. As for CGs… depends on the route the number varied. Akio probably has around ~20 (including variations), whereas Kurenai probably has at least triple that. Likewise with ending – whereas other characters have normal and good ending, Kurenai… has at least 4 endings, I think. I can’t remember anymore (⌒_⌒;) Kurenai route is also the longest, in terms of length – it felt like Kurenai’s route was as long as Akio+Takashi+Kuon combined. The romance in each of the route was actually pretty well done – it didn’t feel rushed and it didn’t come out of nowhere. There wasn’t a lot of romantic moments, but apart from Kurenai each game was pretty short… the romance that could be fitted in in that length was OK. And I liked all of the characters – so having to play the route in order didn’t bother me. There was no character whose route I wanted to skip, basically. Following the theme, East Tower was styled after a game/competition – after all, the characters entered East Tower to play a virtual reality game. Characters pair up, they go to a stage where they have to follow the rule to win, win the stage and rest before starting the next stage. The end objective is to win all the stages so you can go “save the princess”. 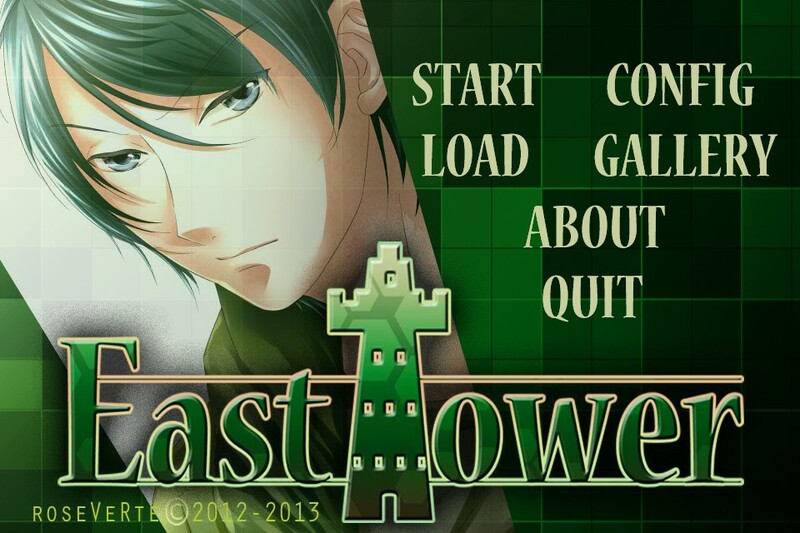 As East Tower is a standard VN, you don’t really play a mini game or anything – you just choose the most suitable option and win the stage. The game’s pretty lenient as well in that if you pick the wrong answer and reach a game over it will offer you to start again from the beginning of the stage. At the end of every stage, you’ll be graded for your ‘actions’ (ie., answers). Anything less than perfect will earn you an A, whereas getting all of the right answers will get you an S. Getting S in every single stage will get you the good ending, whereas failing to get S in any stage will net you the normal ending. If you want to unlock all of the Steam achievements you do need to play this game twice since there are achievements for finishing every chapter with an S and an A. …or in the case of Kurenai you do need to play more than twice to collect all the CGs… I did anyway to get all the achievements. Nice review. I actually played Kurenai first, which was extremely confusing and a jumbled mess. 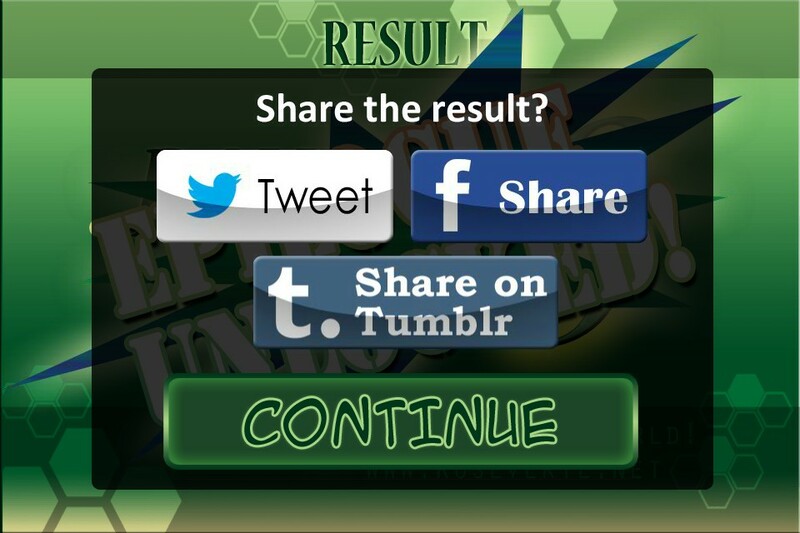 So I don’t even know if I’m going back to play the first three routes. Won’t be losing out on 30 bucks since this is my friend’s copy. I didn’t know I had to play in a particular order so it was pretty disappointing to have played Kurenai first. Just an otome game fan. ...who spends a lot of weekends playing otome games on PC with a Japanese dictionary propped open on her lap.